Combining a fun event with healthy competition. Every year the South West Rotary Youth Games gives more than a thousand participants the chance to be part of something special. The region's largest sporting event gives young people the chance to come together in the spirit of competition, fair play and friendship. 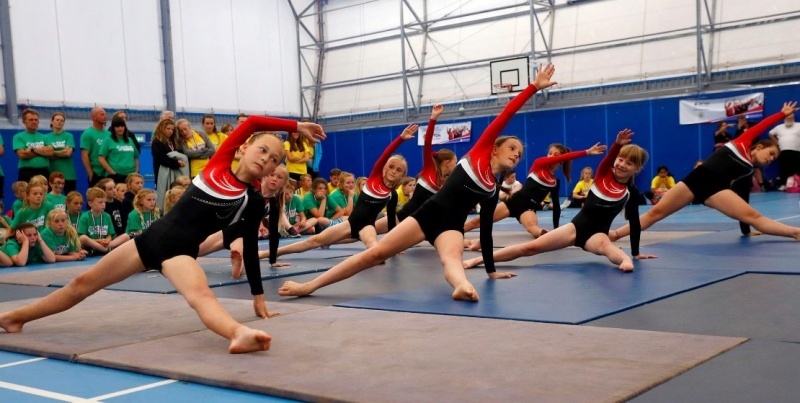 Combining a fun event with healthy competition, the South West Youth Games inspires children and young people to take up regular sporting activities, which can help them lead healthier lives. Here at the South West Rotary Youth Games, we encourage participation at all levels, whether you're an athlete, an official or a volunteer. Above is a 'You've Been Spotted' card and if you are handed one of these cards, you have been recognised as someone who could perhaps take part in this years South West Rotary Youth Games. Keep an eye out for one of these cards at your school, club or local sporting providers. For more information on how to enter the games and to find out about your local trials email any questions to swyouthgames@gmail.com. If you would like to take part in this years Rotary Youth Games head over to the compete page of our web site at www.southwestyouthgames.co.uk/page/compete.html and find your area in order to sign up. The finals will be held on Saturday July 7th, 2018 at Dawlish Leisure Centre, However a number of satellite events will be taking place throughout Devon & Cornwall during 2018.